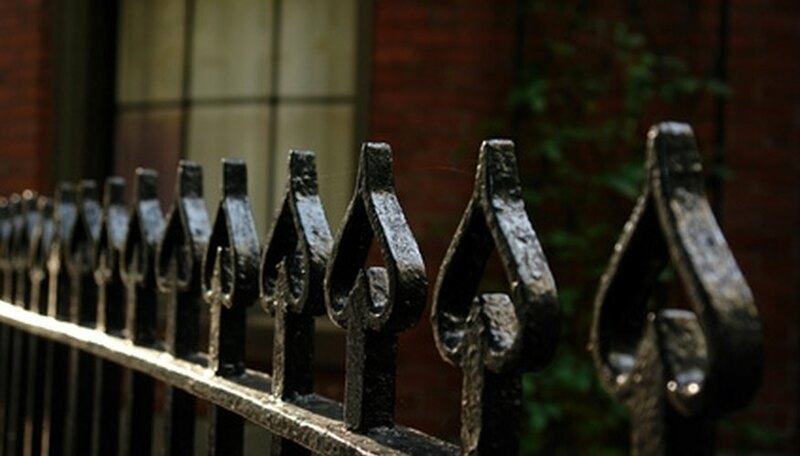 Whether your wrought iron fence has fallen into disrepair and become an eyesore or you want to trade it in for something a bit more practical, it can still be worth something to you. You can make enough money from your old fence to help pay for a new one. Putting the fence out on the curb on garbage day would prevent you from earning the money. Wrought iron is a ferrous metal that can be recycled for cash. Check the fence to be sure it is wrought iron, and not a look-alike. Place a magnet on a piece of the fence. If the magnet sticks, it is ferrous metal and can be recycled. Call your local waste management department and find out where the nearest scrap metal recyclers are located. If you have a choice of recyclers, call ahead for pricing details so you can find the most lucrative deal. Load your fence into a truck to take it a recycling center. If you have other ferrous metals around the house, bring them along! With ferrous metals, there's no need to sort scrap.